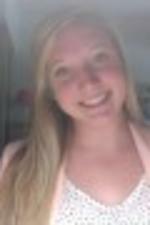 Posted on August 30, 2014 at 10:00:26 am by Holley T.
This year&apos;s Country Fest is stacked with talented musicians guaranteed to please. The seventh annual K105 Country Fest will take place on Saturday, September 20. Doors will open at 1:00 pm and the first singer will take the stage at 3:00 pm. For the second year in a row, Parkview Field in the heart of downtown will play host to this music festival. Headlining the concert this year is none other than Billy Currington. 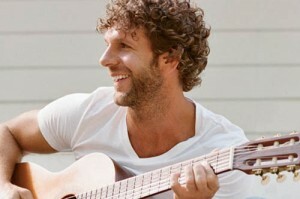 Singer of the number one hit released last year, "We Are Tonight," Currington hit the music scene in 2003 with a bang. He won a CMT Award in 2006 and was nominated for a Grammy and Academy of Country Music Award in 2010. This year features a few up and coming artists in the genre as well, and will bring to the table a host of different sounds and styles for your listening pleasure. Also performing in the concert this year are The Swon Brothers, Brett Eldredge, Parmalee, Craig Campbell, and Kelleigh Bannen. Tickets are on sale for the concert now. While there&apos;s not a bad seat in the house, if you&apos;re looking for the VIP treatment, there are still some Harrison College Pre Show VIP Experience Tickets for sale. For just a little more, enjoy a special beer tasting at the Tree Tops at Parkview Field beginning at 11:00 am. You will also be served lunch and receive a commemorative as well as early admission to the show. The stage will be set up on center field to ensure the best viewing area for those in attendance. Pick your seat, whether its up in the stands or down on the lawn, and get your ticket while you still can! Make a day of it, and head out to some of the great downtown restaurants and bars after to keep the party going! Check out all Fort Wayne has to offer at Visit Fort Wayne.